High school sweethearts manage to make it through college into the working world still together and going strong. From the start of their relationship Jake has made very clear his apprehension to marriage. Kenna understood going into this nine years ago that with Jake there would never be a ring or white dress. 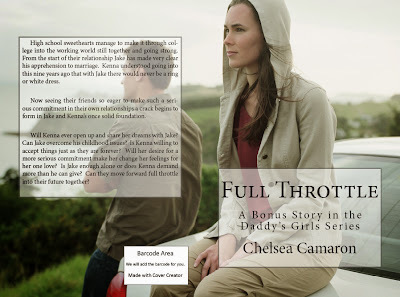 Now seeing their friends so eager to make such a serious commitment in their own relationships a crack begins to form in Jake and Kenna’s once solid foundation. Will Kenna ever open up and share her dreams with Jake? Can Jake overcome his childhood issues? Is Kenna willing to accept things just as they are forever? Will her desire for a more serious commitment make her change her feelings for her one love? Is Jake enough alone or does Kenna demand more than he can give? 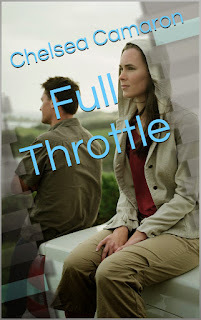 Can they move forward full throttle into their future together?